Dr. Danny Nakhla has built Independence Family Dentistry in Florence around cutting edge skills, diagnostics and techniques to give patients durable, healthy, attractive smiles. You’ll find the latest in techniques and restorations particularly interesting and helpful to your whole family when you visit Dr. Nakhla and his friendly team of professionals. Besides encountering a warm and welcoming atmosphere, the patient who visits Independence Family Dentistry finds the best in diagnostic procedures. For instance, Dr. Nakhla’s staff runs what’s called a paperless practice. That means all imaging is digital–no film, no developing chemicals, no paper file storage. Every image and chart is digitized and stored on the office computers. Access is instant and provides doctor and patient quick and very clear images. Also, Independence Family Dentistry offers cutting edge Cone Beam Scans. This low radiation x-ray produces 3-dimensional images of the teeth, roots, bone structure, sinuses and other head and neck structures. Both Cone Beam Scans and routine digital x-rays allow the dentist to compare images over time to understand tooth development and track the progress of treatments. Cone Beam Scans facilitate dental implant surgeries for unparalleled accuracy. Another innovation is the intra-oral camera. Small and handheld, this diagnostic tool detects spots of hidden decay in areas not obvious to the naked eye. Cavities may be treated earlier and more easily. Among the many preventive, aesthetic and restorative treatments Dr. Danny Nakhla offers are some of special interest. For example, he delivers laser dentistry for quick, painless, no suture gum disease treatment. Infection is removed and diseased tissue debrided for fast healing from this common oral health problem. In addition, patients enjoy the convenience and beauty of same-day CEREC porcelain crowns. Designed according to digital impressions using state of the art software, CEREC crowns are milled right in the office for placement in just about an hour. As needed, restorative dentistry patients may benefit from dental implants, the gold standard in tooth replacement. Place singly, in multiples, or to anchor All-on-4 dentures, dental implants integrate with the patient’s jaw for long-term retention and natural look, feel and function. Check our website for details on a complimentary dental implant consultation and 3D scan. For teens and adults desiring the aesthetic and health benefits of a straight smile, Dr. Nakhla offers Invisalign clear aligners. Unlike traditional metal braces, Invisalign aligners are fully removable and treat a variety of orthodontic issues in about half the time. Plus, because they are so clear, they are hardly noticeable. Finally, to accomplish complex procedures and relax the nervous patient, Independence Family Dentistry has sedation dentistry options. Either light oral conscious sedation or deeper IV sedation helps patients get the care they need without anxiety or pain. Your Florence family dentist, Danny Nakhla DDS, provides the highest of quality in everything he does at Independence Family Dentistry. Plus, his patients feel important and well cared for. 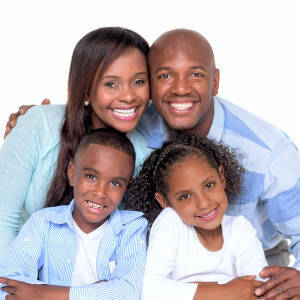 Contact Independence Family Dentistry today to arrange your personal consultation.